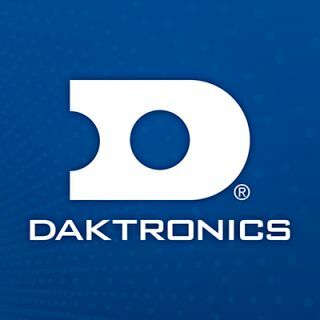 The Louisville Bats have partnered with Daktronics of Brookings, South Dakota, to design, manufacture and install a new LED video display in and custom audio system this spring. The new video display currently being installed in left-center field will measure approximately 29 feet high by 45.5 feet wide and will feature a 13HD pixel layout to provide crisp, clear imagery at wide angle visibility. It is capable of variable content zoning allowing it to show one large image to feature all of the games exciting moments in live video and instant replay. It can also be divided into multiple zones to show additional content, statistics and sponsorship messages. A custom audio system is also currently being installed and integrated into the production system of Louisville Slugger Field to provide booming sound and full-range sound reproduction as well as clear, intelligible speech to engage fans. The system features new speakers and subwoofers throughout the stadium and provides control for multiple entrances and the main seating area. This offers the venue the ability to hold special events with separate audio controls for different areas of the facility. Daktronics will be including its powerful Show Control System with the installation to provide a combination of display control software, world-class video processing, data integration and playback hardware in one user-friendly solution.